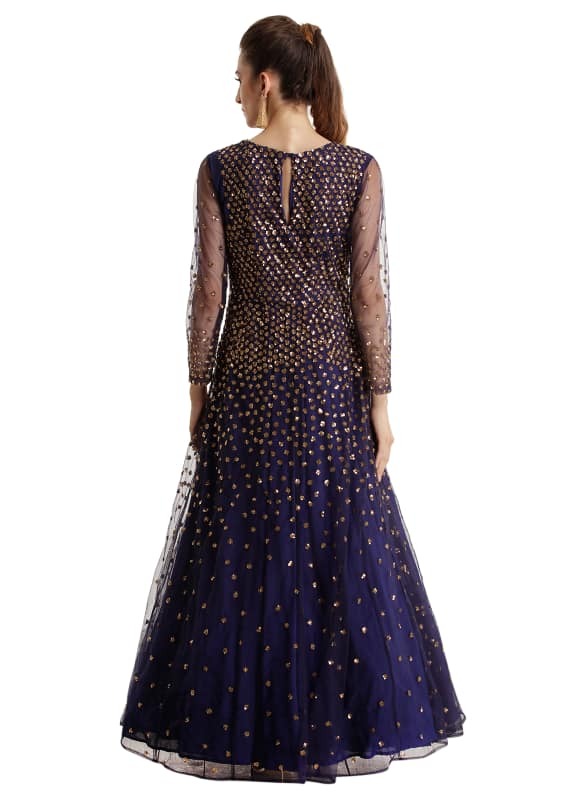 This is a heavily embellished navy net gown with gold sequin and bead work throughout. 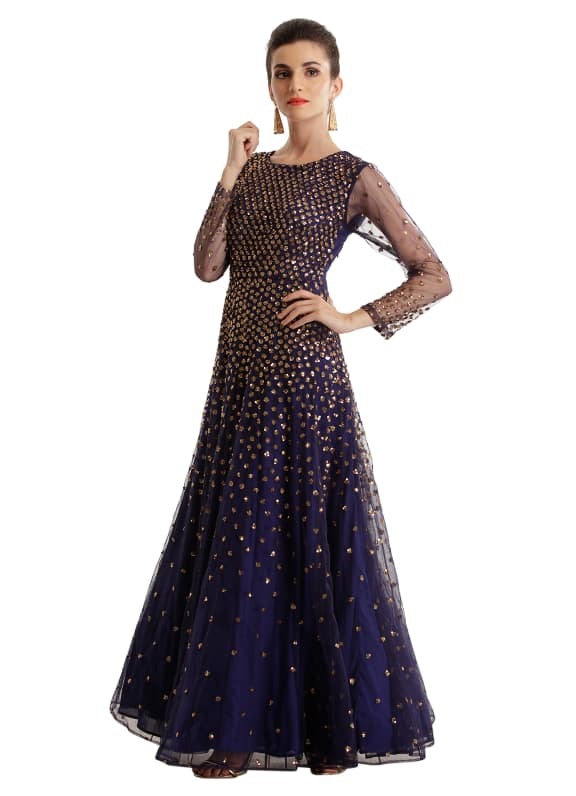 Be the belle of the ball in this navy full length gown with gold sequin flowers. Let the dress shine by keeping accessories simple like these gold plated earrings by amethyst.